Your building makes a statement to your customers and employees. Look your best and let ServiceMaster Cleaning & Restoration Services take care of your specialty cleaning needs. ServiceMaster Cleaning & Restoration Services knows your business and our services are customized to fit your needs. We understand the nuances of commercial buildings and specialize in the following industries: hotels, hospitals, restaurants, schools, and medical offices. Routine carpet cleaning maintains the look and quality of your carpet over time. Remove carpet traffic patterns and prevent wear from becoming permanent. Our carpet cleaning specialists will create a schedule that fits your needs and budget to provide optimal service. Maintain a fresh look in your building with our upholstery cleaning services. Schedule a one time cleaning or a scheduled plan to treat any fabric in your office that accumulates dirt, dust and grime. 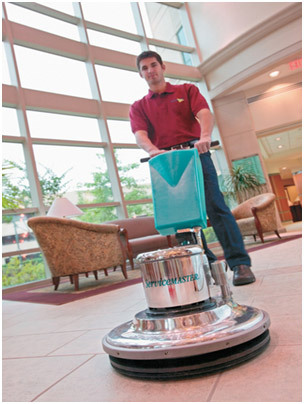 Cleaning hard surface floors requires experience and expertise. Our floor care specialists are experts and cleaning wood floors, vinyl, tile, ceramic and more. ServiceMaster Cleaning & Restoration services specializes in commercial specialty cleaning. In addition to carpet, upholstery and floor care we can also provide slip and fall solutions, window cleaning and much more. Call ServiceMaster Cleaning & Restoration today to get a FREE custom quote.